I’ve been on a carrot kick lately. 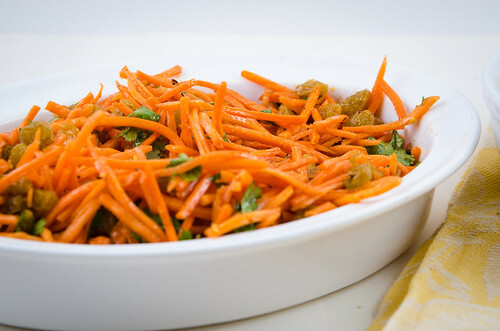 I love carrots because you can dress them sweet or savory; you can eat them raw as a snack or add them to cake and make the BEST CARROT CAKE EVER! 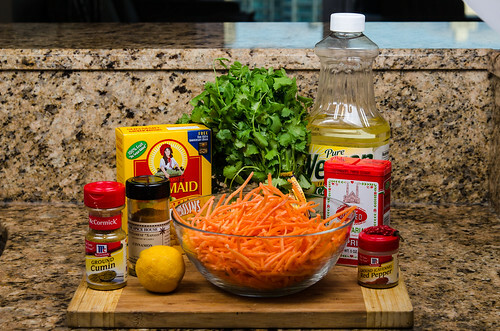 I’m always looking for new salads to eat with dinner and this salad idea came to me when I was browsing the internet for carrot salad recipes. 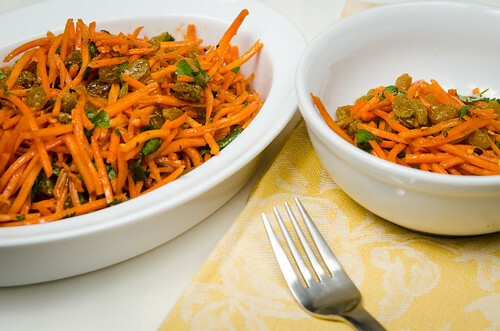 I came across recipes for Carrot and Raisin salad and recipes for Moroccan Carrot salad with Harassa and Cilantro. So, I thought, I bet if I combined the two, it would be awesome. 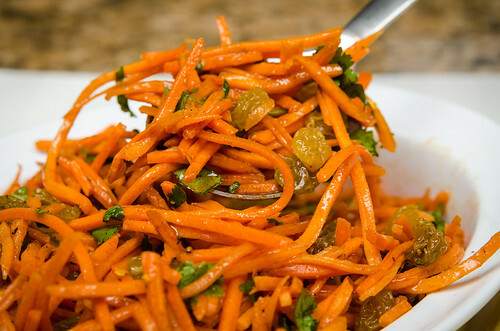 I took the best ingredients from each of those recipes and voila…SWEET and SPICY Carrot Salad was born. 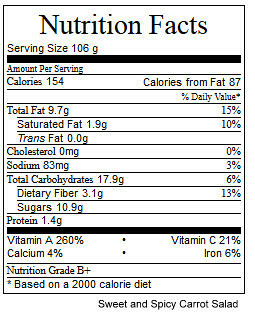 In a large bowl, mix together all the ingredients. Cover and place in the refrigerator for 20 minutes to 2 hours. Served chilled. Best part of this salad, it last for up to 2 days dressed in the fridge. Make a double recipe and enjoy the leftovers!